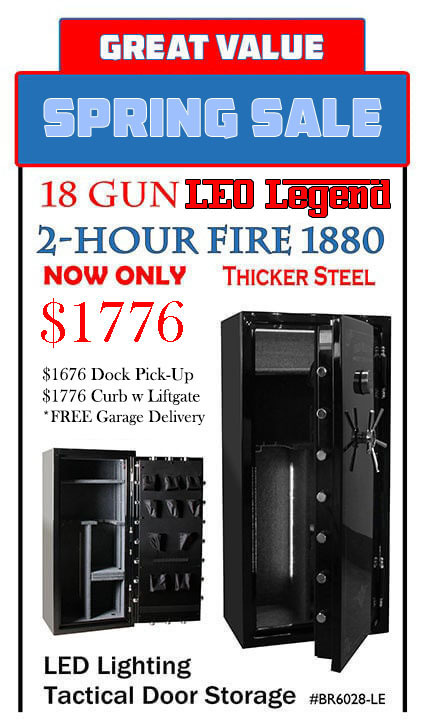 Now offering you EASYPAY 100% Interest-Free ZERO DOWN financing on your gun safe! In-Stock Ready to Ship Free Shipping. 14 to 21 Days Delivery Time Free Shipping. Fire Protection 45 mins - 1 hour @ 1200 degrees will burn 87% fire loss for Wood/Paper Items low-level RSC ratings 2 Hour Fire 1880 Degrees with Double-Step Doors 99% Fire Survival Rate for Wood/Paper Items BEST RATED! 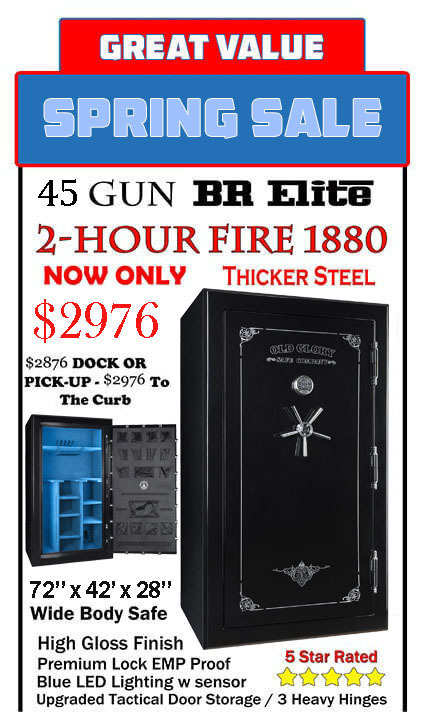 The single most important reason to buy a gun safe from Old Glory Gun Safe Company is peace of mind. Our gun safes work—and they work when you most need them to work. When you put your guns in one of our safes, you can do it with complete confidence that those firearms will still be there the next time you go to retrieve them. 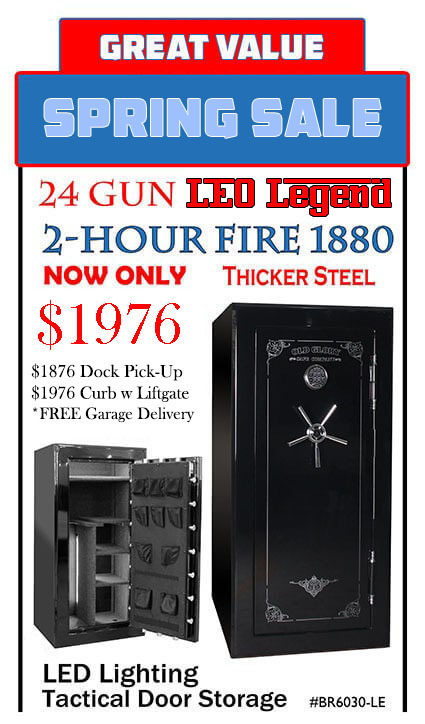 Securely locked inside your gun safe, your guns won’t accidentally find their way into the hands of your young children or grandchildren. In an emergency, when seconds matter, you’ll be able to quickly access your guns if needed to defend your loved ones and your possessions. 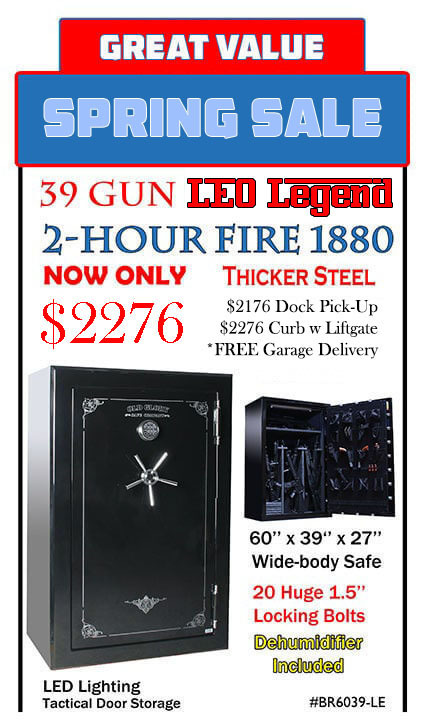 Old Glory Gun Safes: Next Level Gun Security In a world of cheaply made, mass-produced everything, Old Glory Gun Safe Company stands out as a true exception. 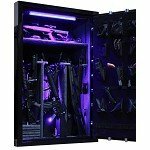 Our gun safes are made one at a time, to rigorous standards of quality that most other makers of gun safes can’t even begin to duplicate. We know you worked long and hard to earn the money to buy the guns comprising your collection. It’s for that reason we ourselves work long and hard to make sure the gun safe you purchase from us is built to deliver the performance you demand—and then some. 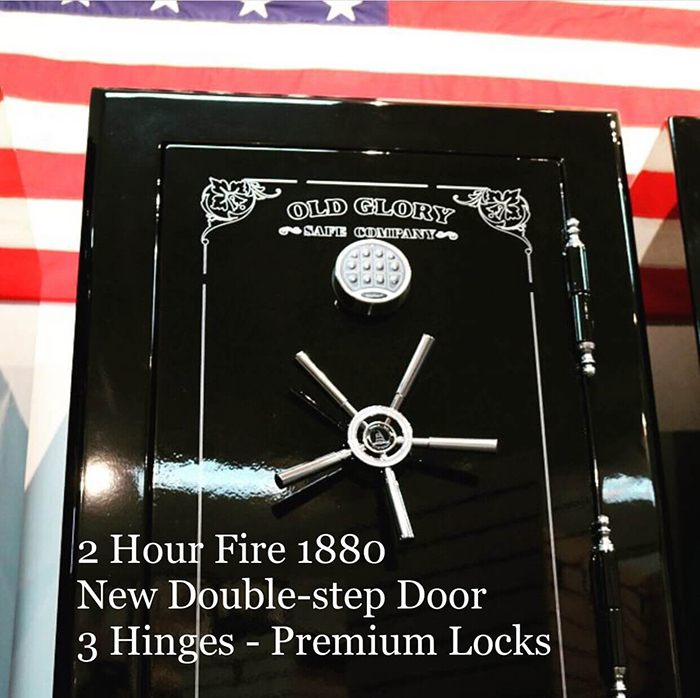 At Old Glory Gun Safe Company, we offer not only the finest gun safes made but also the finest customer service & tech support. Order now and we’ll deliver right to your home, office, station, post, club, or range—plus you’ll enjoy the additional thrill of saving on taxes! 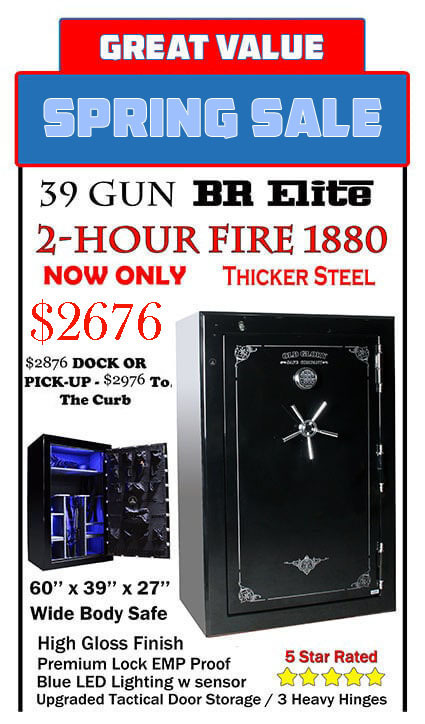 And right now you can also get discounted INDOOR delivery when you buy an Old Glory 2019 BR "Battle Ready" gun safe featuring thicker steel, higher fire-rating, cool styling, tactical door-storage for pistols and handguns, and more. 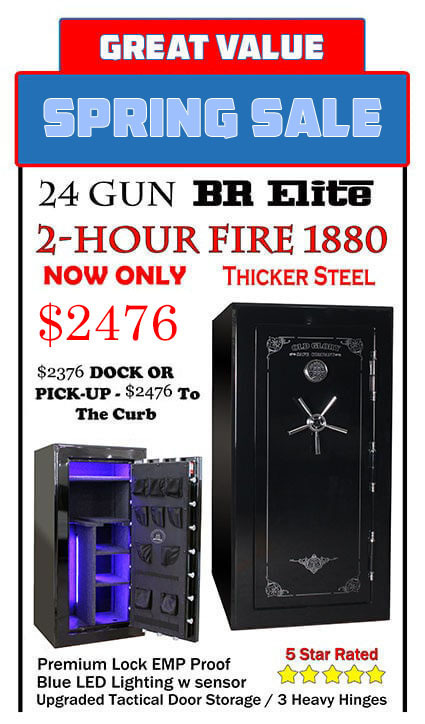 ATTENTION members of the military and law enforcement officers / ATTENTION gun clubs, sports lodges, shooting ranges, and private security firms: you’re entitled to an extra special discount in addition to wholesale discount pricing and other special considerations when you buy from Old Glory Gun Safe Company. Call us at (877) 411-3600 for details.